There’s about six hours of 2017 left here in Devon. And it’s a year which I really don’t want to end just yet as so many amazing things have happened. I know in the real world it’s been pretty naff for a vast number of reasons, but for me it’s been, without hyperbole, the best year I’ve had. The year started with appearing in indents for a certain building society which was incredibly surreal. I then was longlisted as Spoken Word Artist of the year with the Saboteur Awards. Next up I devised Juicy, which was always going to be a stop gap show showcasing different poems, and it got into various fringes. Performing at Edinburgh, Denbury and London at the Redgates Theatre were all highlights, and I had some amazing gigs in other places. On top of everything I finally went semi professional as a spoken word artist, doing corporate work and education work too, and then just when the year was ending, I had a book published and a couple of videos released in YouTube. It’s been an amazing year! I’ve got so many projects pending. As well as the ongoing Zebra tour, I’ve got a one night performance of Juicy at the Bike Shed theatre on the seventeenth of January, a film project with film maker John Tompkins based on Beard Envy, and a new show which I’ve already written called In The Glare of the Neon Yak, which is set on a sleeper service from London to Edinburgh. Performance wise, I’ve started learning all of my material and I’m about to start working with a director. Things are very exciting! Naturally, the year was made by the wonderful people I’m surrounded by, such as Melanie Branton for her advice and support, Mark Tunkin for everyday practical issues. It’s been an incredibly busy twelve months and there have been days where I’ve not known where I was heading, or why, catching trains, the whole thing being a bit of a blur. Sadly, I also lost two friends this year, both of whom were incredibly supportive of my work. I’d like to wish everyone a fantastic 2018 and all the health, happiness, fulfilment and success you can grab! Have a good day, dear, she says. His own niche in the market. And the urges that certain men feel. In the 1950s he’d go to the barbers. And meeting his wife, Marge. Because she spread like butter. While she was giving him eye drops. A crate of the stuff. You can do it, Jim. You can really really do it. To obey those little voices from deep within. Bids the staff a fond farewell. Is very nice, he says. Remaining the same, he says. Really is first class, he says. Author Robert GarnhamPosted on December 31, 2017 December 31, 2017 Categories art, performance, poem, poet, poetry, surrealism, UncategorizedTags funny, humourLeave a comment on Best year of my life? On how the Pet Shop Boys have always been there for me – life as a listener. I stated listening to music when I was about ten years old. I think it was about this time that my parents gave me a radio, and I was ten years old. Previous to this I’d had a small battery powered radio which I could only tune to Radio Four. Amusingly, I thought that the orchestras playing were always live, coming from a studio somewhere in London. My Uncle Charles had been a classical music buff and he would play us his favourite records whenever we visited him in London. The whole family would go out for a walk and he would put on his favourite record and play it to me and my mother while everyone else was out walking. So, with the new radio I quickly got into pop music and within a year I’d built up a list of the sorts of bands and singers that I liked. Shakin Stevens, for example, Toyah, Madness. And then along came the Pet Shop Boys. This was played on the radio a lot. And because I’d only just got in to music, and I was only eleven, it was kind of the base by which all other music would be measured. It always seemed timeless with the very pronounced English accent and the backing music which seemed functional rather than exuberant or showy. I went into school and told someone that I liked this song and they said that I was very trendy indeed for liking something so bang up to date. I got a Sony Walkman for Christmas in 1988. It was bright yellow and it had a radio attached, too. Amazingly, I’ve still got it and it still works. I remember exactly where I was when I first heard this song. I was sitting at the table in the dining room of our house listening to, I think for some reason, Andi Peters standing in for one of the regular DJs on Radio One, and he said, this is brand new from the Pet Shop Boys, and it’s a bit over the top. And wow, it completely blew me away, so much so that I would try and listen to the radio more just to hear it. It sounded as if the opera singer at the start was saying ‘Arse’, and they probably were, because it’s been removed from subsequent versions. And parts of the lyrics resonated with me: not wanting to drive a car or be interested in talking about cars, (like all of my school friends), being a lonely child who liked playing on his own, and of course the verse, ‘i was faced with a choice at a difficult age, would I write a book, or should I take to the stage’. So I became a performance poet and did both. And also, because of my uncle, I knew who Debussey was. I also remember exactly where I was when I heard this. I was in my bedroom. The song sounded amazing and I decided to go to Woolworths the next day and buy the cassette single. Now at the time I’d just discovered formula one racing, and my favourite driver was Alessandro Nannini. I thought he was just about the best driver and that he would have a very long career. I rushed home from Woolworths with the cassette single and turned on Teletext to see the latest motor racing news, and the headline was that Nannini had been in a helicopter crash and was very badly injured. Listening to the song on my cassette player minutes later, the song seemed to be about Nannini and his injury rather than suspicion and the end of a relationship. It still reminds me of Nannini even now. I went on holiday on my own. It was the first time I’d been away. I wanted to go somewhere and just write, so, living in Surrey, I caught the train to Looe in Cornwall, a place I felt I’d be able to disappear, and just write. It poured with rain. I brought my Walkman with me and bought the new Pet Shop Boys album, Very. I was worried that it would be downcast and moody like their previous one, the masterpiece Behaviour. I remember laying on my bed in the hotel room and listening to this, the first song, and being incredibly happy because it was poppy and upbeat. Even though it was raining, I was on my own, and I was in a strange place, I still felt happy because of this song. I was disappointed in this song. It sounded like they’d phoned it in, deliberately made a song just to sound like them. I remember thinking the same about REM’s Imitation of Life. But the thing was, I was living in Surrey but I knew that I’d be moving to Devon within weeks. I was working in a small village shop at the time and it was very hot, and I’d cycle home and collapse on my bed, put on the radio and listen to the pop songs on Capital FM, and invariably this song would come on. And I’d say to myself, cmon lads, you can do better than this. Weeks later we moved to Devon. It felt like the start of a new life and a million miles from Surrey and London. I felt like a new person. The new Pets album Bilingual came out so I went to the supermarket and bought it. And this song was on it, and I’d completely forgotten that it existed even though it was the first single from the album, it just took me back to Surrey and the weird thought that it’s strange to move between the first single of an album and then the album itself. Life was moving, but the Pet Shop Boys were still there. By now I’d got a job in Devon. We had a radio at the shop in the stock room. This song came on and it completely blew me away, but at the same time I was sad that I should be listening to it for the first time at work rather than in the comfort of my room. And wow, it was completely over the top. They were out and proud and I was neither. I was on holiday again, alone again, this time in Italy. By now I had a portable Walkman cd player which ate up batteries like nobody’s business. The uncluttered music of this track and the simple lyrics about a life which I hoped one day to have too – waiting for a loved one to come home – seemed to speak about so much other than the domestic. Yet I always associate this song with being in Italy and being on my own. Except I wasn’t on my own, not really. I had the Pets. Ok, so by now I’m a spoken word artist and pretty much, as the song goes, the kind of man that I’d always meant to be. When the Electric album came out, I was completely crazy for it. All the songs were pumping and amazing and seemed the perfect accompaniment to my life and how hectic it had now become. I’d go through phases of loving and being obsessed with each song on the album, and the week that I was obsessed with this song was the week I was in London, doing open mics and exploring what the spoken word scene was like. I’d listened to this song about twenty times on one particular day, just before heading from the hotel to Bang Said the Gun. I got there and the atmosphere was amazing, and I entered the mini slam. However as the evening had worn on I’d felt ill and, not knowing it at the time, I had a virus which just sapped all my energy. I did the slam and then went immediately back to the hotel, trying to revive myself with this song. I then got a message to say that I’d won the slam but they couldn’t find me to tell me. So they may not be the trendiest band in the world, and a work colleague may call them ‘those whining bastards’, but the whole ethos and spirit of the Pet Shop Boys has always helped me through life at strange moments, and I’m sure that there is more to come from them and, hopefully, from me. 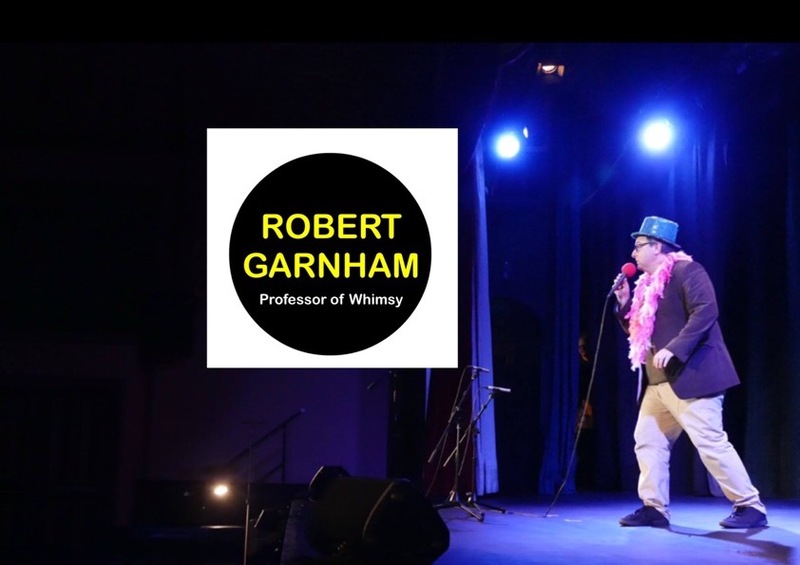 Author Robert GarnhamPosted on December 27, 2017 December 27, 2017 Categories art, performance, poem, poet, poetry, UncategorizedTags music2 Comments on On how the Pet Shop Boys have always been there for me – life as a listener. Something I wrote in 2010 in the Pacific Ocean. In 2010 I went to Australia and had a great time mooching around the rainforest around Cairns. One day I took a boat trip out to the Great Barrier Reef. It was incredibly rough and people were honking up left, right and centre. I’m glad to say that the rich ecosystem and biological diversity of these waters inspired me to do some writing right then and there, on a platform rocking from side to side in the middle of the Pacific. It’s great to see that I really engaged with the local culture. I was faffing around on an old memory stick the other day and I came across it again. (And Usually for Good Reason). 1. The Angry Clown Lumphead Gumard . Which travels in threes, two males and a female. And if the female should die, the two males fight out a duel to the death to become the new leader of the trio. The winner then finds himself suddenly alone. 2. The Coleslaw Sucker Mixed Lettuce Cuttle Fish. When it reaches maturity, its eyes rotate round to the right. It is thought that this is where Picasso got his ideas from. 3. The Silly Trout. Like a regular trout but quotes Tim Vine jokes to strangers at bus stops. 4. The Looks Like Elvis, Sings Like Les Dawson Fish. Doesn’t really do anytlhing, but I just love the name. 7. The Mash Finned Ploop Groober: Marine biologists long argued why it should have what looks like an office hole punch balanced on its back Some wondered if this was for stability, others for defence while most conjectured that this strange growth helped to attract a mate. On closer inspection they realised that it was a hole punch. And that the same fish had been swimming past them in circles. And that the hole punch from the ship’s office was missing. 10. The Reverse Surgeon Fish. Instead of grooming the larger fish and removing algae and bacteria, it puts them back just for a laugh. 12. The Hula, A-hula Hula, Alohal, Marlin Names after Captain Cooke’s Aunt Hilda, it has a pronounced frown and buck teeth. Consequently, mating is very rare. 13. The Thumbs-Up Punch-Drunk Monk Fish It’s lithe, mesmerising movements in the water hypnotise its prey into wanting them to dance with it. No one knows why, but both sides in the process seem to enjoy the process. 14. The Tiger Fish. With its elaborate coloured fins and tail with its exuberant plumage and its tassels and its decoration and its accoutrements, it is seen by many marine biologists to be something of ponce. 15. The Bullethead Parrotfish. Has a beak instead of teeth, and powerful lips that, every now and then, accidentally ingest coral and rock which it then grinds and swallows before excreting as sand. They have been doing this for so long that 70 percent of Australia’s sand comes this way. Out of a fish’s bottom. Author Robert GarnhamPosted on December 12, 2017 Categories art, performance, poem, poet, poetry, surrealismLeave a comment on Something I wrote in 2010 in the Pacific Ocean. I have been thoroughly enjoying Robert Garnham’s Zebra (I know this sounds like one of Robert’s own comedy innuendoes). e.g. “Wiped your sweating brow with a serviette. with a sense of malaise. But the serious undercurrents that were there in Nice, the tears-of-a-clown preoccupations with death, loneliness, fear of failure and inadequacy, existential angst, gay politics, are foregrounded here and at times take on a more overtly serious form, but with Robert’s trademark diffident understatement making them all the more poignant. Autobiographical poems about trying to date a girl in his teens, the horrible experience of being at secondary school, the disturbing experience of witnessing a sudden death, and an extended sequence of poems where the Arctic cold is used as a metaphor for the repression faced by gay men in a homophobic and closeted society have a massive emotional punch precisely because of the precision and economy of his storytelling and his elimination of any hint of self-pity or attention-seeking. It’s even outer and prouder than Nice, with poems like Straight Pub and Flamboyant skewering the patronising, insulting heteronormativity of those who’re “not homophobic” but who would reduce gay men to exotic background colour or sitcom jokes, powerfully political poems like The Doors and Steadfast reminding of the external and internal repression, discrimination and persecution that gay people still face globally, and poems about Tom Daley, a beautiful shoplifter, shirtless roofers and ex-boyfriends unashamedly celebrating the beauty of the male form. This wide-ranging,mature, screamingly funny, but also heartbreakingly serious book ought to be on everyone’s Christmas list.